After a month of legal jousting and two days of deliberation, Friday saw a federal jury rule that Samsung had infringed on two patents that Apple. However, the jury said those were the only two infringed upon. The result was Apple getting almost $120 million out of the $2 billion they were seeking. 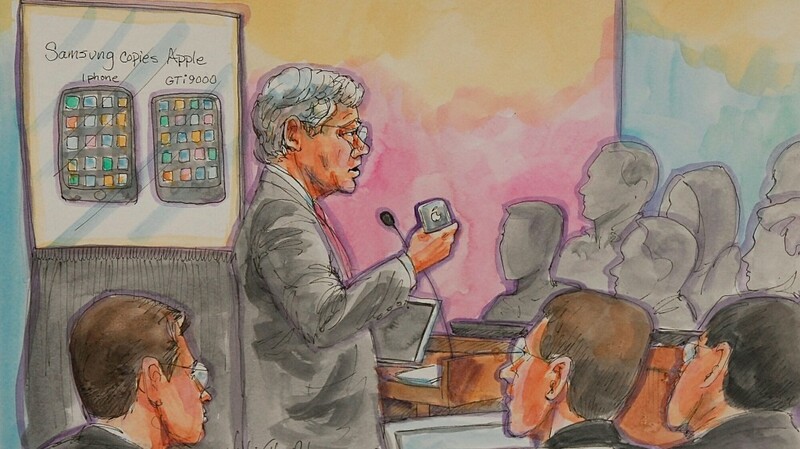 As an aside, the jury found that Apple infringed on one of Samsung’s patents. The South Korean-based company was awarded $158,400 as a result. In their $2 billion suit, Apple stated that Samsung had infringed on their standing patents and created new Galaxy family smartphones and tablet. Features such as slide to unlock, background syncing, quick links, and universal searching seem like they would be easier to point out in some instances, but a feature such as word correction is something used on roughly everything that has a typing element. Samsung’s counter was much lower at $6 million and sated that Apple infringed on patents to making calls over networks, taking and sending videos through email and text, and showcasing the amount of video and photos in the photo app. With the dust settled and the victory pot heavy in their favor, you can chalk this one up as a win for Apple.